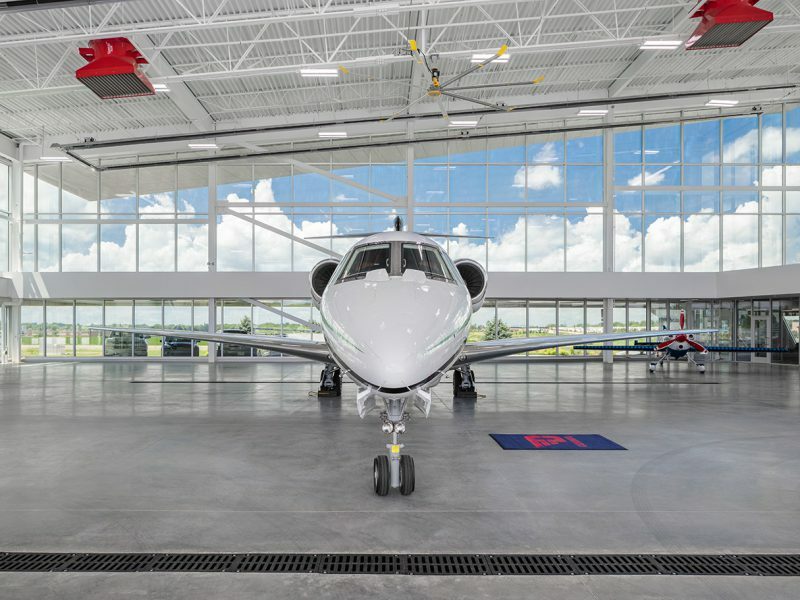 The new 17,000 sq. 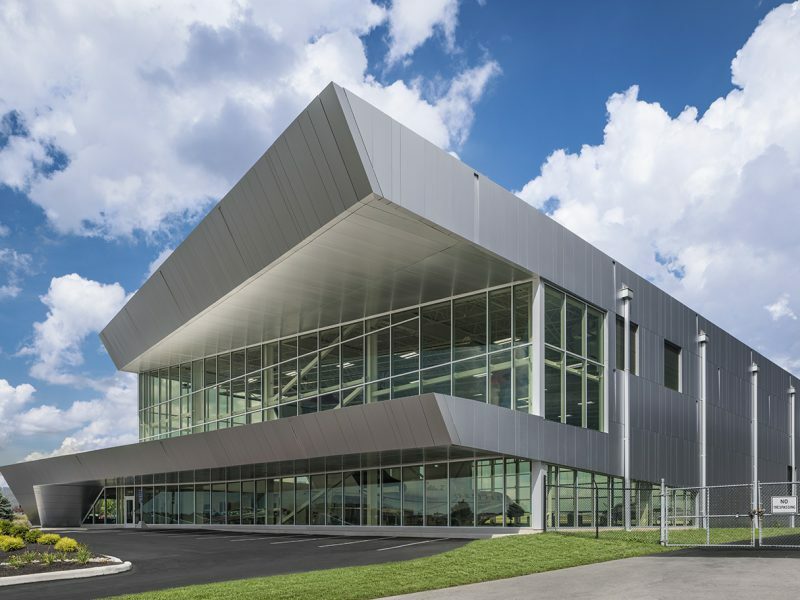 ft. aircraft hangar for the Connor Group is located at the Dayton-Wright Brothers Airport (MGY), a general aviation airport near Springboro, Ohio. 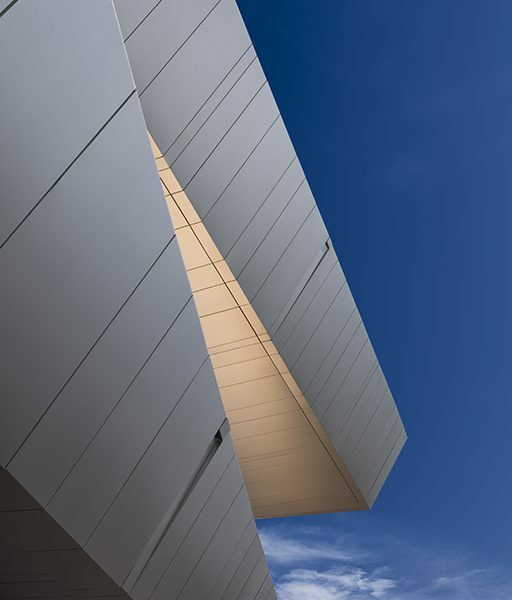 The design of the building is in harmony with the adjacent Connor Group headquarters (also designed by Moody Nolan). 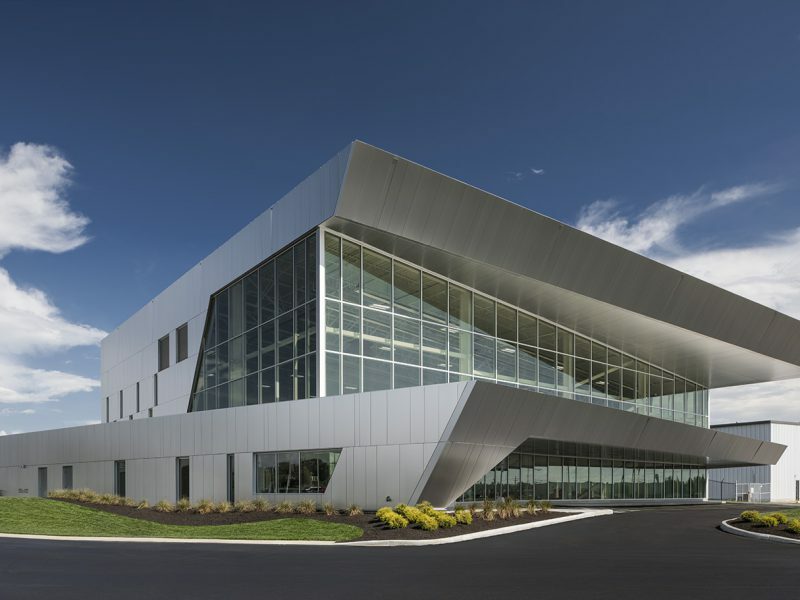 The building is a Group II hangar designed to house business aircraft up to the Gulfstream G450. 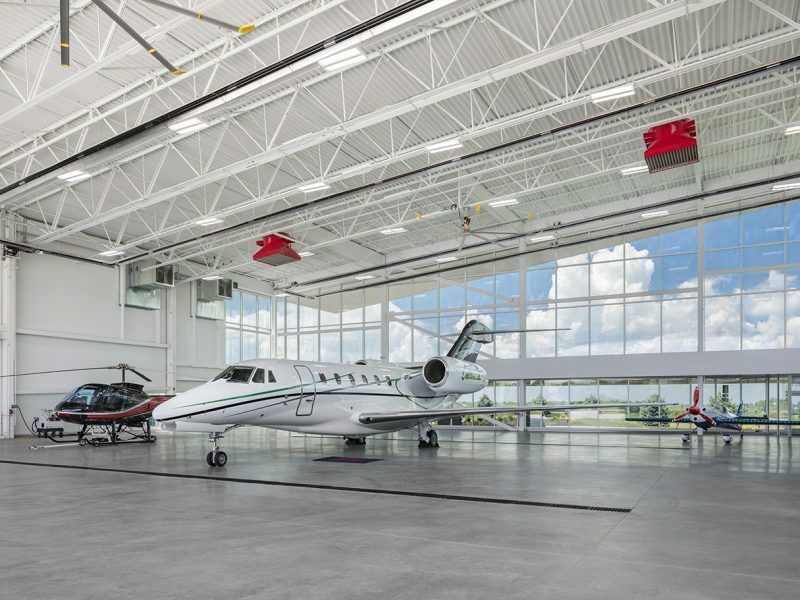 An Aqueous Film Forming Foam (AFFF) fire suppression system allows for the storage and maintenance of all aircraft types. 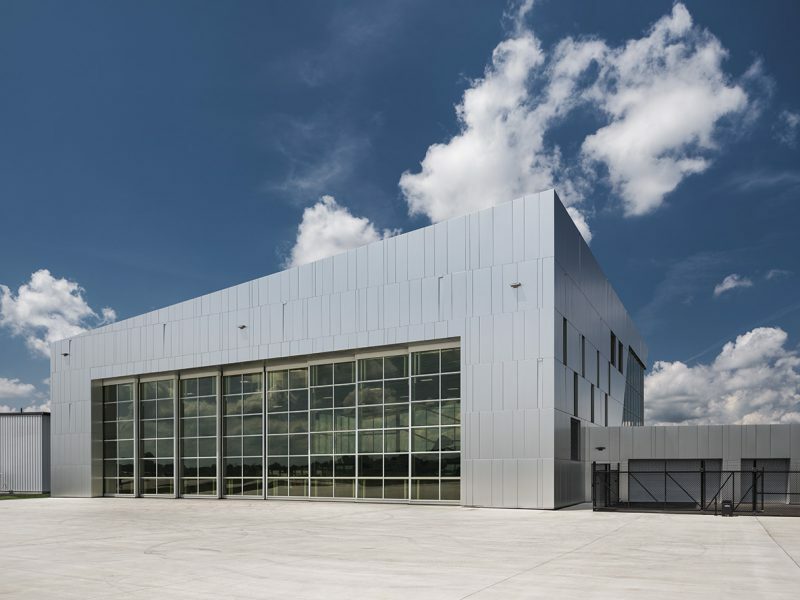 In addition to the large hangar bay, the building includes a lounge/waiting area, offices, vehicular garage and storage spaces. 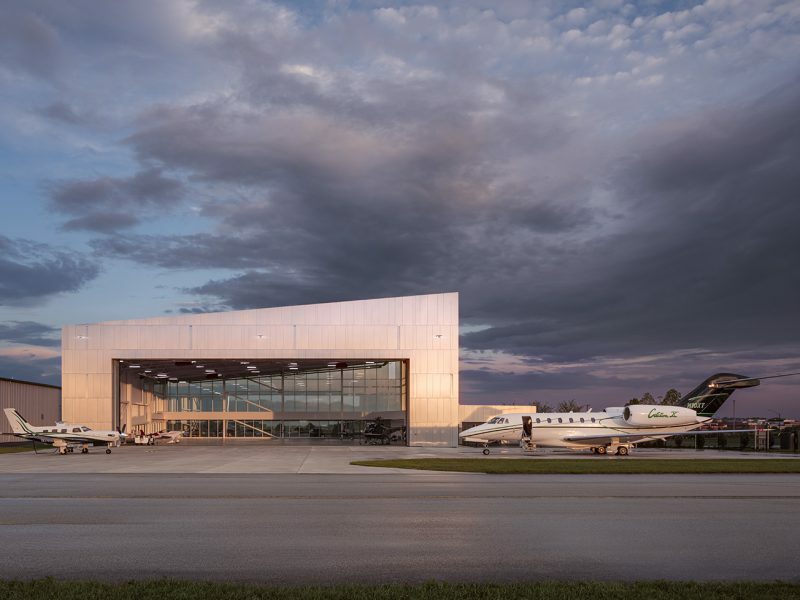 The design utilizes aluminum composite metal panels on the exterior as well as dynamic glass in the walls and 28’ tall hangar doors creating a high level of transparency.